TIP: You can save products to your favorites list if you log in Our certified Fair Trade/Organic (FTO) Sumatra Takengon is a brilliant effort from the KKPO, or Koperasi Kopi Gayo Organic cooperative in the fertile Aceh region of Northern Sumatra. 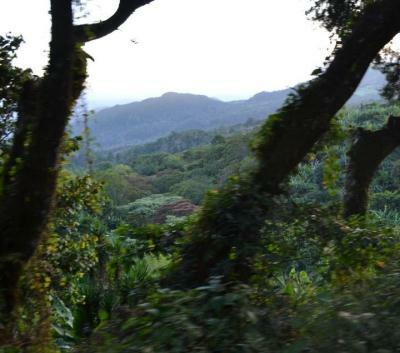 The highlands of Takengon offer rich loamy, volcanic soil and this coffee, of the Bourbon, Catimor and Typica varietals, are wet-hulled and sun-dried. Elevations range from 1200-1600 meters. “Gayo” references people of the Gayonese ethnicity; a large percentage of the KKPO farmers are widows of husbands who perished in the civil strife which riddled Aceh province. Much infrastructure was deeply compromised in the massive 2004 tsunami and also the 2013 earthquake which devastated the province. Coffee production is a source of great pride and treasury to the Gayonese and this is a fine example of their labors! The cup profile of our Takengon is earthy and sweet (chocolate and banana), spicy (nutmeg and cinnamon), heavy- bodied with a long, complex and floral finish. 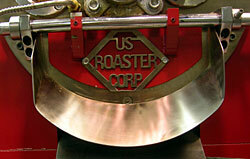 We're roasting “medium”, keeping as much character inside the bean until you grind it. Great as either espresso or pourover/drip at this roast level. Her name is Rossalina, but her pedigree is all-american. "Back for more. Your coffees are great!"